Growing up, I didn’t think much about my weight or my health because I wasn’t heavy. After high school, I started to struggle with my weight, gaining and losing the same 20-30 pounds for about 15 years. In my mid-thirties, I started eating more and moving less. 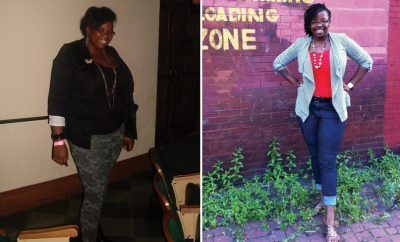 The pounds piled on and the sedentary lifestyle started to take a toll on my health as well. Obesity is a risk factor for certain cancers and I was diagnosed with one of them, endometrial cancer, in 1997. My weight made ordinary activities like walking and climbing stairs increasingly difficult. I required a total knee replacement in 2007. By 2010, my weight was double the normal weight for a woman my height. In February 2010, blood tests showed not only high cholesterol, which I had had for decades, but a new health issue, elevated blood sugar. The elevated blood sugar meant I was headed for type 2 diabetes. My husband and I took a trip to New York City that same month and I could not walk more than two blocks without stopping to rest. Six weeks later, I had a heart attack. Lying in the hospital, knowing that both my parents died shortly after their heart attacks, finally gave me the motivation I needed to change my lifestyle. 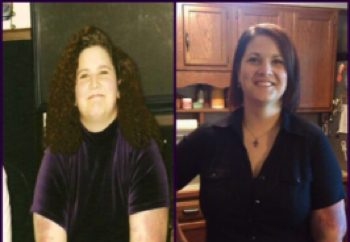 So in April 2010, with the support of my husband and family, I began exercising and modifying my diet. An important tool in my recovery was CalorieCount.com, a health and wellness site, which provided extensive nutritional information. I tracked all of my food on CalorieCount to make sure I was getting proper nutrition as well as controlling calories. I used their recipe analyzer to modify our meals at home to make them healthier. Now I feel like a different person, a much younger and active individual. I have lost more than 130 pounds. My cholesterol profile is very low and my blood sugar is normal. I can keep up with my grandkids and feel like I’ve been given a second chance. Like my wife, Kay, I wasn’t concerned about my weight when I was growing up. As a child and teenager, I was thin, and could pretty much eat anything I wanted. In my 20’s, I was able to maintain my weight by walking because I didn’t have a car. Once I started working and had a car, my weight slowly began to rise and at my heaviest, I was nearly 240 pounds. After my wife’s heart attack in April 2010, I wanted to be supportive and saw this as an opportunity to solve my own weight and health issues – including my high blood pressure – once and for all. 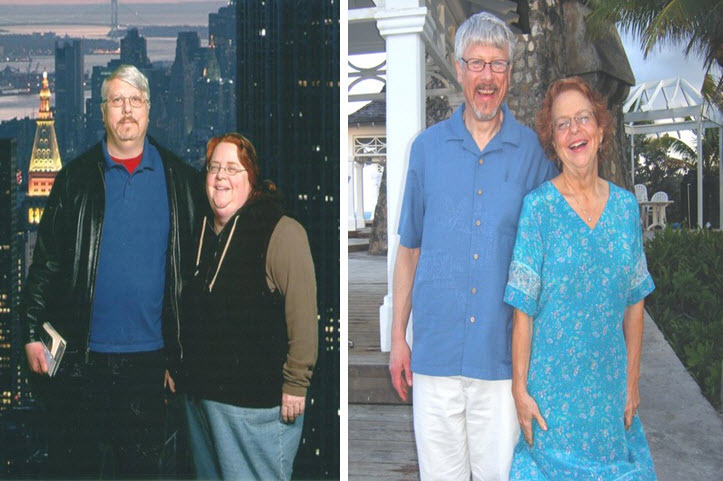 We began to exercise as a couple and we changed our diet to include lower calorie food. CalorieCount.com helped us determine how we could still eat the same amount of food by making healthier choices with fewer calories. I have lost more than 65 pounds. As husband and wife, we took back control of our lives and are healthier as a result.